Will.i. am and Coca-Cola’s “Ekocycle” initiative is about to get a lot more crowded. At a private-launch event on Wednesday night, the Black Eyed Peas musician and the beverage giant announced the addition of Levi Strauss, Case-Mate, MCM, and RVCA to their environmental campaign, which seeks to educate consumers about recycling and the role of purchasing decisions within a larger social context. The four brands will join Beats by Dr. Dre and New Era, which signed up when Ekocycle was first announced in July. Ekocycle, according to Bea Perez, vice president and sustainability officer at Coca-Cola, is on a mission to boost recycling’s cachet by imbuing recycled products with a hipper, youth-oriented image. More specifically, the campaign aims to identify products, including plastic bottles and aluminum cans, that its partners can repurpose as content for high-end lifestyle products. The Ekocycle initiative wants to boost recycling’s cachet by imbuing recycled products with a hipper, youth-oriented image. The Beats by Dr. Dre Eckocycle headphones ($349.95), for instance, comprise 31 percent recycled polyethylene terephthalate (or PET) plastic, the same stuff that soda bottles are made of. Two caps ($30-$45) from New Era promise a blend of traditional polyester fabric and recycled plastic. Case-Mate’s Ekocycle “Barely There” case ($35), now available at Best Buy, is molded from 100 percent recycled PET. 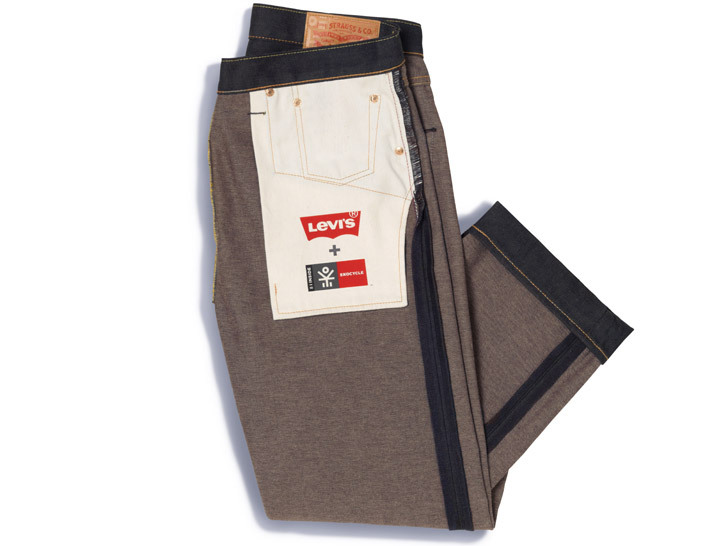 And in April, Levi’s will unveil a limited-edition version of its “Waste<Less” jeans ($128), each of which consists an average of eight recycled plastic bottles. Other collaborations and products, ranging from everyday products to luxury wares, will be announced next year. Coca-Cola has also pledged a minimum of $1 million over the next five years in support of recycling and community-improvement organizations. This donation, the company says, is in addition to—and separate from—its ongoing commitment to give 1 percent of operating profits to charity through The Coca-Cola Foundation. Will.i. am and Coca-Cola's "Ekocycle" initiative is about to get a lot more crowded. At a private-launch event on Wednesday night, the Black Eyed Peas musician and the beverage giant announced the addition of Levi Strauss, Case-Mate, MCM, and RVCA to their environmental campaign, which seeks to educate consumers about recycling and the role of purchasing decisions within a larger social context. The four brands will join Beats by Dr. Dre and New Era, which signed up when Ekocycle was first announced in July.